Many clients often tend to ask the same questions, one in particular tends to stand out amongst the rest, and that is ”How do I get on the first page of Google”. It’s not something that can simply be accomplished overnight and requires a careful and well-structured plan of action. There are other great strategies, such as search engine optimization (SEO); however, the process does require a consistent refresh of new content and is often described as the slower process in comparison to Pay per click. Gaining visibility and generating leads through SEO requires creative writing, in which writers able to create innovative and engaging content, as well as cleverly implement targeted keywords. It is important that the content is highly relevant to the keyword, in order to rank higher on Google. Being patient and persistent will help you through this ongoing process. On the other hand, Pay per click is very different. The strategy has been proven to generate a higher number of leads and conversions at a faster rate, which is always good when operating in a competitive industry. Nevertheless, to get that extra edge over the competition, it does require you put some money behind the strategy. 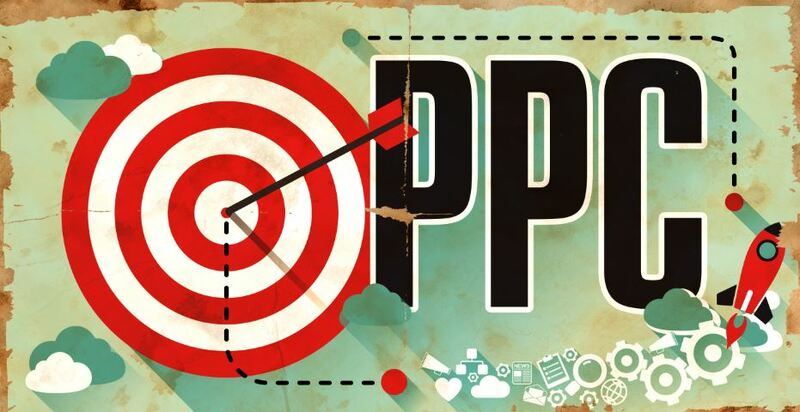 PPC is a money driven process, however money alone will not see you achieve your objectives. Things can easily go swore, if you haven’t had the correct training or haven’t developed the theoretical knowledge, to implement such a strategy. It is important that targeted keywords bring up specific display ads for each term. As the aim is to get the web users to click on them and impulse buy. However, if the wrong ads are brought up and are dissimilar or irrelevant to the keyword, the ads become pointless. There will be very little interaction. On the other hand you will generate brand awareness; however, you have to be careful that your brand doesn’t fall into that category of being ignored. Once users click on the display ad, they are taken to a landing page. This can be the make or break stage, as this is ultimately where the decision is made, whether they go ahead with the purchase, download or sign up or simply to opt out. All landing pages should be customer friendly and offer an easy customer journey. So what dictates the costing? Initially, your per click cost is determined by the things you bid for and your quality score. When it comes to click fees, they are calculated by an auction format. Google AdWords is good in the sense that it gives you a certain amount of control over your advertising costs. There is no minimum limit amount to spend; instead, you set an average daily budget, where you dictate your spending. Choosing a bidding strategy is an important decision and varies depending on your objectives. Every time someone searches on Google, Ad words runs an auction to determine the ads that show up on the search results and where they rank. However, to place your ads in this auction, you must choose how you’d like to bid. This is where your bidding strategy will be put to good measure. If you looking to generate and increase traffic to your website, you may focus on generating clicks, also known as the cost per click (CPC) bid strategy. Whereas if you’re looking to raise brand awareness, you may want to consider focussing on viewable impressions, or the number of times your ads show up in a viewable position. This is also known as a cost per thousand viewable impressions, or VCPM bidding strategy. However, this VCPM bidding is only available for Display Network campaigns. On the other hand, if your pure focus is on generating purchases and sign ups, implementing the cost per acquisition bidding strategy, would be the most appropriate. For most newcomers using Ad words, they tend to start off with CPC bidding strategy, which they accrue costs based on the number of clicks they get on their ads. When using the CPC bidding strategy, the amount you’re charged per click depends on the maximum cost per click you set on your account, known as your max CPC bid. This represents the maximum amount that you are willing to pay for a click on your ad. Majority of the time, the most you tend to pay, is the minimum that Google requires you to hold your ad position and any ad formats shown with your ad. So you’ll often pay less than your maximum bid. The actual amount you pay is called your actual CPC. For example, if the maximum bid is £2.50 CPC for your ads. The most you’ll pay when a customer clicks your ad is £2.50. So how do I measure the success of my campaign? There are four key areas that will tell you how you have performed, impressions, clicks, conversions and landing pages. These four indicators are built with tracking codes that allow us to measure how many conversions were made and the amounts that were spent on each account. By keeping tabs on the analytics, you can turn this useful data into insight, in which you will be able to optimize your campaign. The following indicators will determine whether your campaign was successful or not: click through rate CTR, conversion rate, cost per click, and cost per acquisition. If you believe that Pay per click is the strategy, that you need to get your business up and running on Google, why not give us a call or send us an email to find out more on how we can help you achieve your marketing objectives. References Anon, 2016. Cost of Advertising on Google: Pay Per Click | Google AdWords – Google. [online] Adwords.google.com. Available at: <https://adwords.google.com/home/pricing/> [Accessed 21 Nov. 2016]. Anon, 2016. How Pay-Per-Click (PPC) Advertising Works | Google AdWords. [online] Google.co.uk. Available at: <https://www.google.co.uk/adwords/how-it-works/> [Accessed 21 Nov. 2016].